If you spend hours in front of the computer or TV while playing console games, then you need to be really comfortable. In this case, you need the best DXracer chair. Compared to the traditional office swivel chairs that provide limited to no support and comfort, DXracer chairs offer more than enough back and rear support that won’t have problems sitting on it for hours. 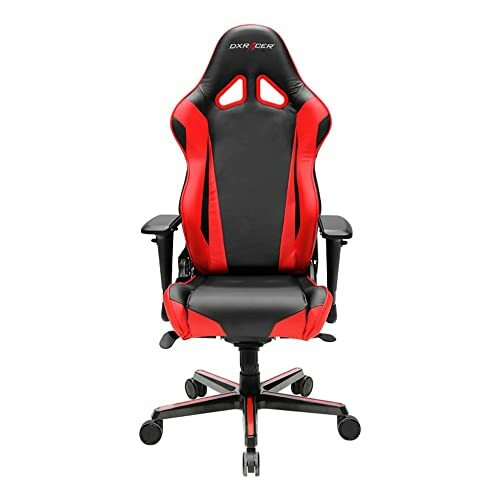 One of the best DXracer chair you can find in the market, the Formula Series is perfect for those who are looking for a luxurious computer chair that fits their modest budgets. 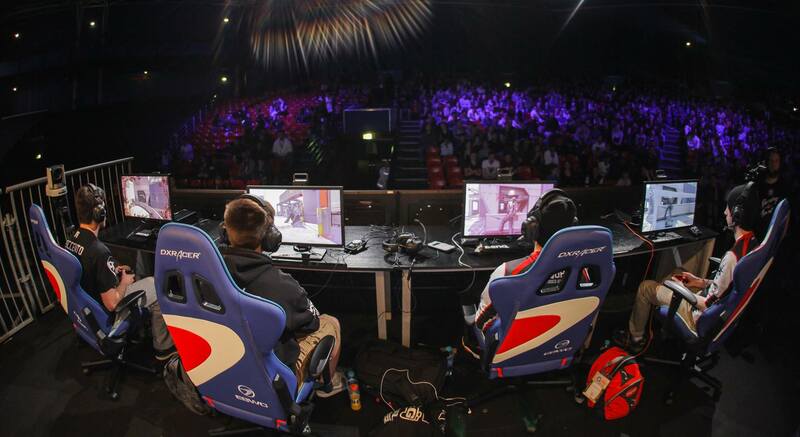 Don’t let the price fool you, these chairs are great that professional eSports teams actually use them for training and during competitions. ​The Formula series uses high density foam, so you can be sure that you will be comfortable even after hours of heavy gaming and computing. You can sit there comfortably for up to eight hours without feeling the slightest cramp. The high backrest of the Formula series of chairs provides just the right amount of support for your entire back and neck. If you want to take a break from gaming, you can lower the height of the chair and tilt it back at just the right angle for power naps. Not that suitable for those with smaller stature – It’s because the chair does not conform to smaller frames. Putting an additional cushion solves this problem, though. Still, this is a budget-friendly chair complete with almost all the features you need. Most of those who bought a Formula Series chair found that it perfectly supports their weight and provides ample cushioning. This chair is one of the iterations of the previous chair mentioned, but it has some changes that might suit the tastes of others. Just like the FD01, the FH08 has a high backrest to provide support for the back and neck, adjustable armrests and height and a backrest that you can tilt back when you need to rest your eyes after hours of intense gaming. It’s covered in polyurethane instead of fabric. ​The polyurethane cover on the FH08 makes it one of the best chairs from DXracing because it adds durability and ease for the user. PU covers are actually tougher than fabric so you can expect that you will be using this chair for years with minimal visible damage. The PU is also stain and water resistant. This means that if you happen to spill some of your energy drink on the seat, you just need to grab a clean piece of cloth and wipe it off. It will also dry immediately. Faux leather cover may look like it will cause you to sweat too much after sitting on it for long – Note, though, that it’s just on the appearance as it actually wicks moisture from your body, allowing you to stay dry. 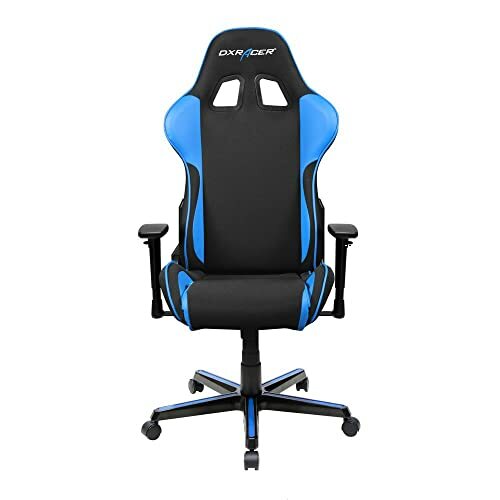 The fact that this DXracer model also comes in a wide variety of colors also means that you can easily find one, which perfectly meets your style and preferences. This is yet another offering from DXracers Formula Series, which is the best DXracer chair that you can buy. Just like the other chairs in the series, the FH11 provides ample back support and uses a firm foam to provide just the right amount of padding (not too soft nor too hard). ​Just like the other chairs in the series, the FH11 is comfortable that you can actually recline it for a quick nap, or even a full night’s worth of sleep if you cannot be bothered to walk towards your bed after an intense round of gaming. The seat is covered with a combination of strong fiber mesh and PU, making it stylish, durable, and comfortable. The fiber mesh allows the seat to “breathe”, meaning you won’t be sitting in a pool of your own sweat after an hour or so of gaming. ​Even the PU parts of the seat cover wicks away any moisture so it leaves your bare skin dry to the touch. If you’re worried that the flimsy-looking fiber mesh will tear after a month or so, don’t worry. It is actually a lot tougher than you think. One additional feature that the FH11 has, which makes it one of the best DXracer chair, is the latex colored lining on the footrests that will provide the user with additional support and comfort. Once you sit in this chair, you will not even notice the hours due to its high comfort level. For people who like living in the fast lane, even if they are just sitting still, DXracer chairs offer the Racing Series. 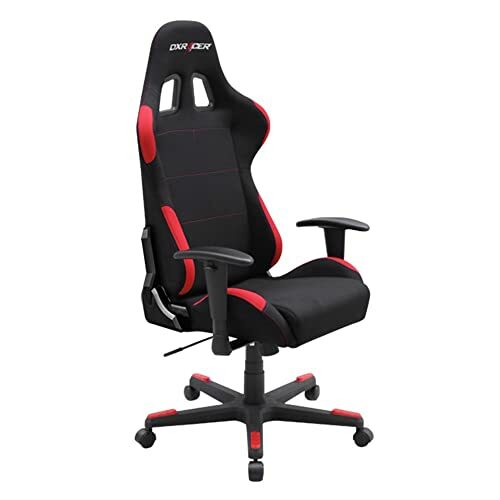 These are the best DX racing chair for people with a larger frame because it is essentially a bigger version of the F-series of chairs that the company also provides. The higher backrest will ensure that even people who are taller than average will still gain the same amount of back support as gamers of average height. ​The RV001 has a strong, tubular steel frame that can carry loads but even if it’s built tough, this chair is the purest definition of luxury. The adjustable backrest and chair height can effectively transform the chair from a comfortable gaming cockpit into a first class napping platform. This makes it perfect if you plan to take a quick power nap in between rounds of gaming. Plastic bits on the hinges are not that high in quality – There’s a tendency for them to fall off. Despite such problem, it’s still a good choice for many potential buyers. It comes with a wide footrest base made of a strong nylon material. It’s actually a lot stronger than steel, but is lighter. Even if you’re a person of large stature, there’s no need to worry about the base or other parts of the chair breaking down. You can lean back without any fear of falling over and possibly hurting yourself. 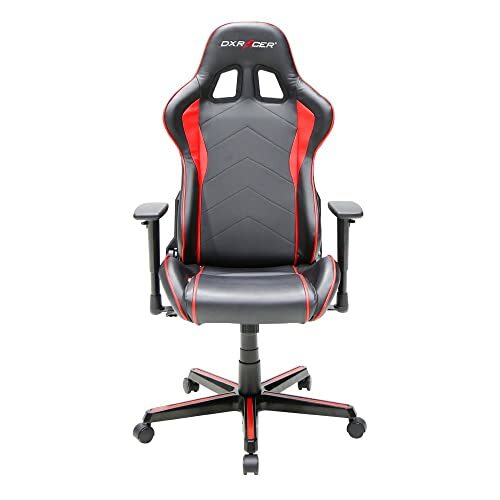 The Racing Series chairs is the best DXracer chair that you can get if you’re a person of large stature, a demographic that most chair manufacturers tend to overlook. These chairs have larger seat buckets and much higher backrests that can provide enough support and comfort for even the tallest of people. Another great thing about the RW106, and actually every chair model that comes from DXracing, is that it comes with an additional lumbar support pillow and another one that you can strap onto the headrest. These additional touches make these chairs some of the most comfortable seating implements that you will ever come across in your life. ​The design of the racing series, which you will probably notice if you are a fan of automotive racing, stemmed from the bucket seats used in real race cars. These have curved sides that help position your body in the perfect spot to provide just the right amount of comfort. The curved sides also prevent you from twitching in your seat, thereby lessening the strain on your lower back. It has an ergonomic design that you can comfortably sit on them for hours. The adjustable horizontal position of the arm rests are too sensitive – Brushing them wrongly may instantly cause a shift in position. Aside from the benefits mentioned above, RW106 is covered in a combination of strong mesh fiber material and polyurethane. The fiber mesh material provides breathability. 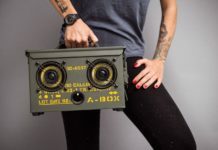 The PU, on the other hand, provides strength and durability. When you sit in front of the computer or the TV, the first part of your body that will feel strained is your lower back. When shopping for a DXRacer chair, check the backrest for lower lumbar support. There should be a cushion that will support your lower lumbar region. It shouldn’t be too hard that it will dig into your back nor too soft that it can no longer provide enough resistance at all. Traditional computer chairs have backrests that only go up to the middle part of the back. These chairs do not provide even the most minimal amount of support, usually leading to back and neck pain. Even executive office chairs just go up to the shoulders, so the neck is left to support the weight of the head. 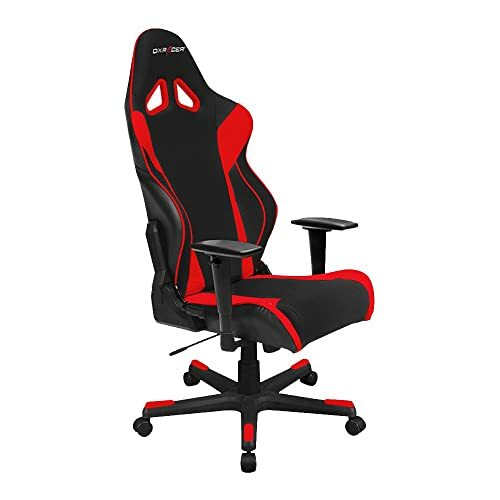 The best DXracer chair has a high backrest and a neck support feature. Some models even have an option for a detachable neck cushion. These cushions, though, shouldn’t be too soft. Many computer chairs have cushions that are so soft that your body weight displaces the foam, causing you to actually feel the metal seat pan underneath. The best DXracer chair contains a firm foam but still provides enough give that you can sit on them for a long time without discomfort. This is also a vital feature in the best DXracer chair. The hydraulic tube is the one, which supports your weight, so more often, it will be the first part of the chair that will give. When you are comparing computer chairs, check if it’s easy to adjust the height using the hydraulics. The seat should drop gradually, not instantly, when you release the air pressure from the chamber. Armrests are important, especially if your work requires you to type on keyboard for hours. They support your arms and elbows, preventing tiredness and cramping up. Ideally, they should be adjustable that you can set them to the right height. The best DXracer chair all boils down to your personal preference. You can go for the more comfortable ones, or those with additional features like anti-spill and water-resistant features. 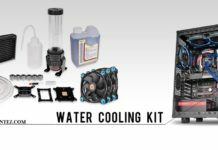 Whatever chair you choose from the ones mentioned in this article, you can be sure that they are all of top-notch quality while providing endless amounts of gaming comfort.